On July 25, CNN published an alarming report: Two videos obtained exclusively by the cable news network appear to suggest that the Russian government is covertly arming the Taliban fighters that have slowly returned to Afghanistan since the end of NATO combat operations there in 2014. The report, authored by Nick Paton Walsh and Masoud Popalzai, states that two separate groups of Taliban fighters have received “improved weaponry … that appears to have been supplied by the Russian government,” including heavy machine guns, sniper rifles, and the ubiquitous Kalashnikov assault rifles that are a staple of black markets across the planet. If authenticated, these “exclusive videos” of unknown origin obtained by CNN would confirm growing accusations from U.S. and Afghan military officials that Moscow is arming the very enemy it spent a decade fighting during the Soviet-Afghan War. There’s only one problem: CNN’s report falls apart after the headline. While many of the weapons flaunted by militants certainly appear Russian in origin, the videos provide little direct evidence of a recent arms transfer from the Russian government to Taliban forces, according to weapons experts from U.S. Special Operations Command and several non-governmental conflict arms organizations interviewed by Task & Purpose. The weapons experts consulted by Task & Purpose identified the weapons as Kalashnikov variants that have become pervasive among irregular forces; several U.S.-made M249 Squad Automatic Weapons that fire belt-fed 5.56×45mm NATO rounds, including a mid-90s variant with a long barrel and fixed rifle stock and the lightweight MK-49 paratrooper variant with a stub barrel; the TT-30 Tokarev pistol that’s been a staple of the Russian military since the 1930s, and the Soviet-made 7.62 mm general-purpose PK machine gun that’s been in service since 1961. 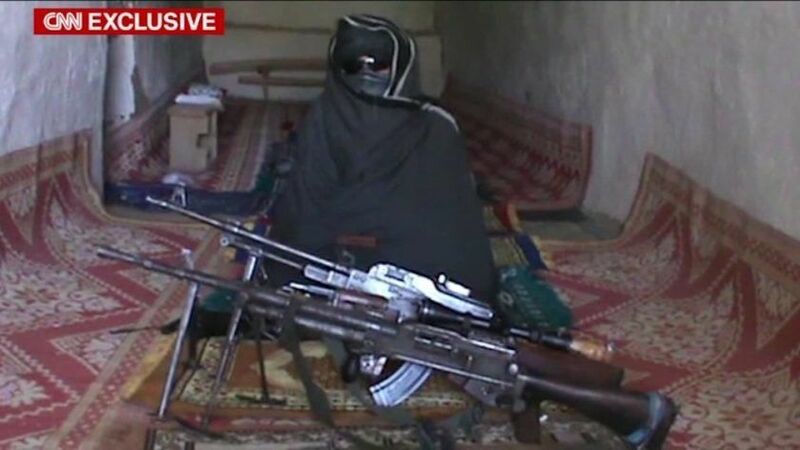 None of these weapons touted by the Taliban in the CNN video appear particularly modern, and all but the M249 are regular fixtures of the illicit small arms markets that accounted for 60 percent of the weapons flowing into and out of Afghanistan in the decades leading up to the U.S.-led invasion in the aftermath of the 9/11 terrorist attacks. “I suspect after years in Afghanistan, these are easy to get,” Capt. Jason Salata, a spokesman for U.S. Special Operations Command, told Task & Purpose. CNN also notes that the weaponry appears “stripped of any means of identifying their origin," the Russian connection appears dependent on the little more than the less-than-reliable claims of various Taliban goons. Indeed, the only arms expert quoted in the CNN story who isn’t a Pentagon or Afghan government official was Benjamin King from the Small Arms Survey independent research group, who explicitly told CNN that videos and photos provided to him for analysis contain little evidence of a recent arms transfer, let alone from Russia. If any of the gear appeared new, according to King, it’s the shiny new accessories haphazardly mounted on the Taliban’s new arsenal, like polymer buttstocks and modern telescopic sights such as the Chinese-made JGBG M7 rifle scope that’s the only equipment featured in the CNN video that’s also cited by name in the accompanying report. But even the presence of modern gear doesn’t necessarily signal recent arms transfers between the Russian government and Taliban forces. “You can purchase one of those things for like $50 on the internet, so it doesn’t seem like a very high-quality military-grade add-on,” King said. “Most of these parts could have just come in the mail." If U.S. and Afghan military officials want to fret the flow of foreign arms into the country, they should look in the mirror. A declassified 2016 Pentagon audit revealed that nearly half of the 1.5 million firearms provided to Iraqi and Afghan security forces, including nearly 978,000 M4 and M16s, since 2002 have gone missing due to poor regulations and recordkeeping. In 2014, a report from the Special Inspector General for Afghanistan Reconstruction found that some 43% of weapons provided to the Afghan National Security Forces likely ended up in the hands of ISIS or the Taliban. In recent weeks, American and Afghan military personnel have gone face-to-face with modern weaponry and equipment in enemy hands. 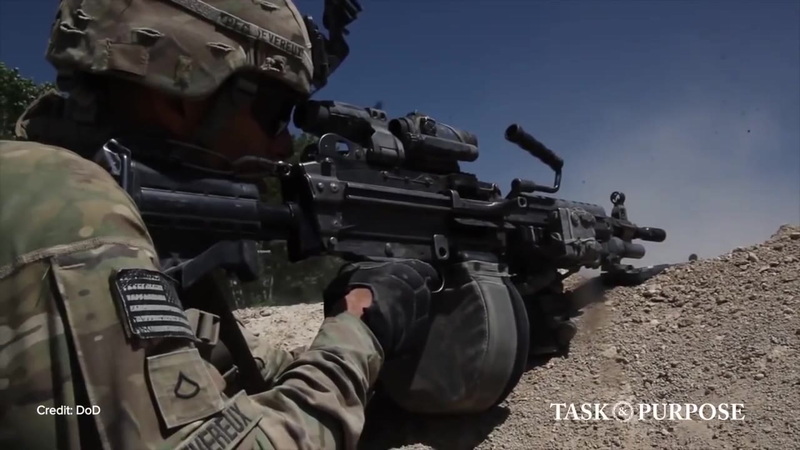 According to a July 25 Military Times report, Afghan security forces are increasingly facing off against Taliban fighters armed with M4 carbines outfitted with night vision, infrared laser sights and Advanced Combat Optical Gunsight scopes. A recent Taliban propaganda video appeared to show a fighter rocking FN SCAR (Special Operations Forces Combat Assault Rifle) 7.62mm rifle decked out with a AN/PEQ 5 visible laser likely liberated during an ambush or raid on a weapons depot. Like the M249, these are all weapons usually deployed by Western militaries — and, like everything else in Afghanistan, they end up in Taliban hands sooner rather than later.